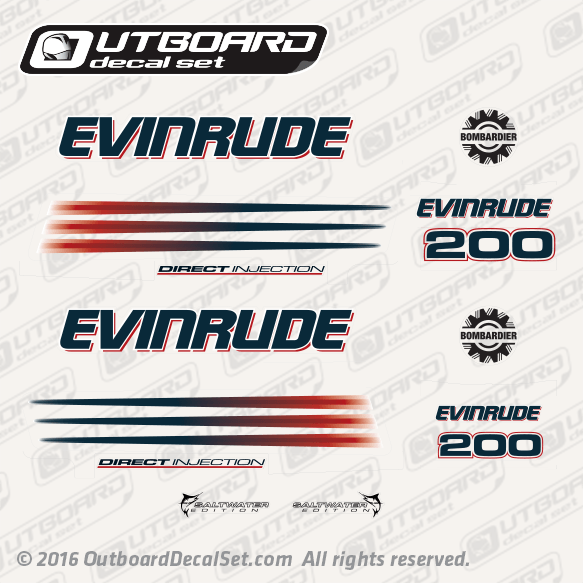 Evinrude 200 hp Direct Injection decal set replica for 2004-2005 White outboards. Printed Over Clear vinyl. EVINRUDE 2005: E200DCXSOC, E200DHLSOC, E200DHLSOG, E200DPLSOC, E200DPXSOC, E200DSLSOC, E200FCXSOE, E200FHLSOR, E200FPLSOE, E200FPXSOE, E200FSLSOE. 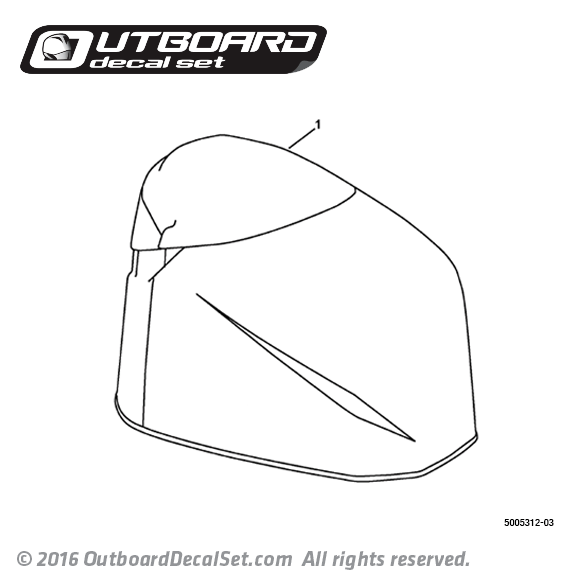 1 - 0285613 ENGINE COVER Assy, "WHITE". 1 - 0285625 ENGINE COVER Assy, "BLUE". 1 - 0285624 ENGINE COVER Assy, "BLUE". FHL, FHX Models only.